ANVOL™ nitrogen stabilizer from Koch Agronomic Services (KAS), featuring the patented active ingredient — DUROMIDE™ — delivers the longest-lasting urease inhibitor protection over a wider range of soil environments. Utilizing DUROMIDE, ANVOL protects your nitrogen investment against ammonia volatilization while also reducing overall labor demands. Ammonia volatilization can have a serious impact on your yield results and reduce your return on investment. In research studies, ANVOL has been proven to defend against volatilization and boost yield results compared to untreated urea. Urea treated with ANVOL consistently resulted in higher yields starting at 60 lbs N/acre. Urea treated with ANVOL resulted in a 31 bu/acre average corn yield advantage over untreated urea. Based on sites responsive to nitrogen fertilizer and where losses to volatilization were a significant factor. Bars with the same letter are not significantly different (p<.10). The underlying data was provided by 1Virginia Tech, University of Kentucky, University of Tennessee, University of Illinois and Pike Ag, LLC and 2Louisiana State University under a Research Trial Financial Support Agreement with Koch Agronomic Services, LLC and neither these institutions, nor the individual researchers referenced, endorse or recommend any product or service. Driven by DUROMIDE technology, ANVOL stabilizer protects your nitrogen investment by inhibiting urease, preventing ammonia volatilization and preserving nitrogen for crop uptake. It also offers a high active ingredient concentration, enabling a low application rate for more efficient coating operations, while the drier, finished fertilizer results in less buildup on equipment. The intelligent design of DUROMIDE has proven to hold up in various environments and fertilizer blends. When compared to other urease inhibitor technologies, ANVOL is the clear winner with its ability to perform better in conditions that favor high volatilization. ANVOL stabilizer features a patented active ingredient – DUROMIDE – designed to extend the protection of nitrogen above ground. ANVOL stabilizer provides improved performance across a range of soil conditions for protection growers can count on. ANVOL stabilizer features a high active ingredient concentration that enables a low application rate. In recent research, KAS’s next-generation nitrogen stabilizer, ANVOL, demonstrated extended protection against nitrogen loss due to volatilization. 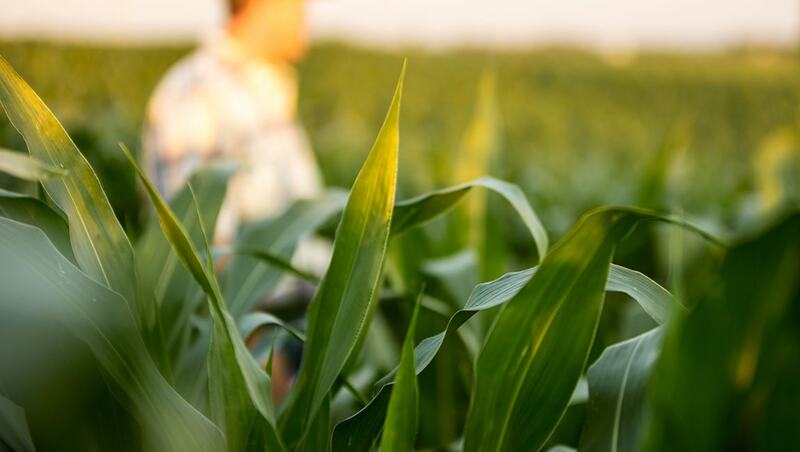 Koch Agronomic Services’ next-generation nitrogen stabilizer, ANVOL™, demonstrated extended protection against nitrogen loss due to volatilization in recent research. While untreated urea lost 32 percent of its available nitrogen, urea treated with ANVOL lost just 12 percent. NOTICE: Always read and follow label directions. CENTURO is not registered for sale or use in all states. Contact your state pesticide regulatory agency to determine if a product is registered for sale or use in your state. The data and material contained herein are provided for informational purposes only. No warranty, express or implied, is made including, but not limited to, implied warranties of merchantability and fitness for a particular purpose, which are specifically excluded. Results may vary based on a number of factors, including environmental conditions. Before use, consult the product packaging and labeling for information regarding the product's characteristics, uses, safety, efficacy, hazards and health effects.